Want to make a difference in South Africa? You've come to the right place! The main problems; lack of funding for education, overcrowded classrooms, the municipality for waste disposal do not cover most areas in South Africa that aren't major cities, a huge unemployment rate (over 40%), poaching and wildlife abuse, limited support after school and when looking for employment, lack of education around recycling and the environment. Here at DAKTARI we try and address these issues. 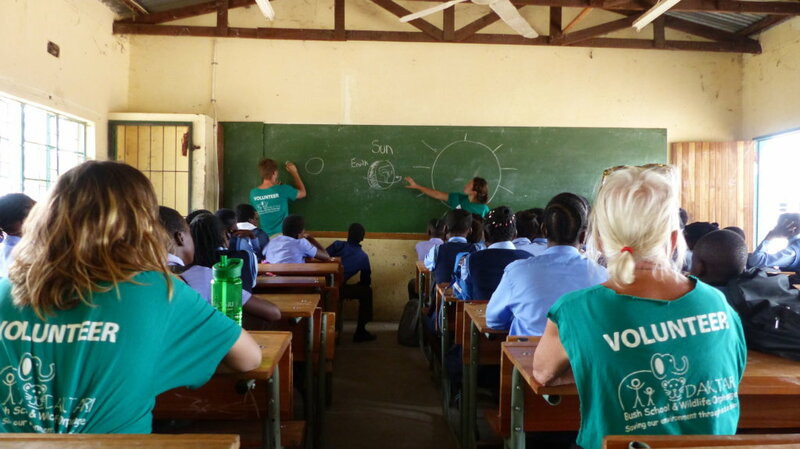 We solve these problems by providing outreach to local communities; hands-on teaching (smaller classes than the schools), running "Eco-Clubs" - education and initiatives aimed on environmental and wildlife conservation. We also lead programs to clean up the local villages whilst developing a waste disposal scheme with the local municipality. DAKTARI also provide career guidance drop in sessions for the local communities to help them use computers to write CVs and gain employment. Our project is already showing great results. The children who attend the environmental lessons have gone on to take action against poaching and animal cruelty within their village. We're trying to change attitudes, helping people find employment and giving people skills to move forward to have a better future. We're moving into waste disposal, developing a scheme to have planned rubbish collection; we aim to have a cleaner region here in Limpopo.